Buongiorno! We're very proud of this! Buongiorno! 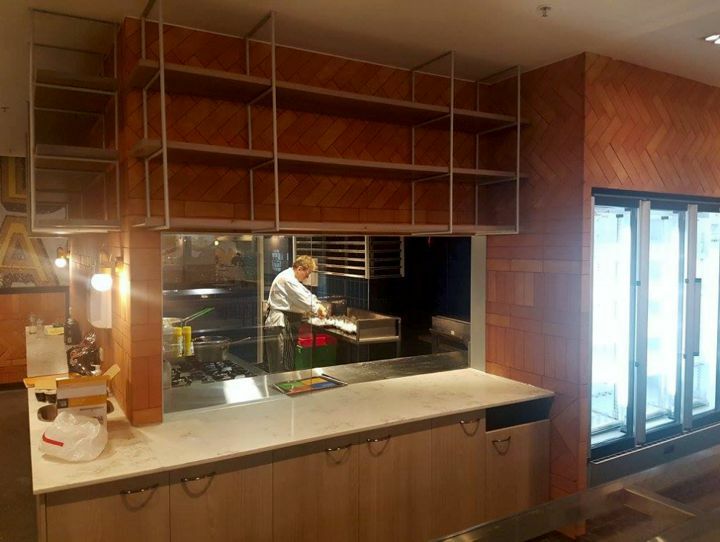 We're very proud of this metal work project with Daekin Group Pty Ltd for The Italian in Docklands. We supplied feature suspended shelving, a corner floor to ceiling unit and pizza shelf unit... all finished off with some eye-catching brass railing. Pop in for a pizza soon + check it out. Bon appetito!